If missing teeth are making you uncomfortable in your own skin, The Diablo Dental Group in Danville, California, has the right solution to restore your smile. Full or partial dentures can replace missing teeth to improve your ability to chew, speak, and smile with confidence. To find out if dentures are the right option for you, call The Diablo Dental Group or book an appointment online today. Also known as complete dentures, full dentures are recommended to patients with many missing teeth, as they typically replace all the teeth in your mouth. They can be fitted to your top or bottom gum line and are held in place by an oral adhesive. These types of dentures are created after all of your teeth have been removed and the gum tissue has healed completely. Full dentures are removable and must be taken out of your mouth regularly to be cleaned. Like full dentures, partial dentures must also be removed regularly for cleanings. They are most often recommended to patients who still have some healthy natural teeth, so partial dentures only replace your decayed or missing teeth. Not only do they fill the void left behind by missing teeth, but they also prevent adjacent teeth from shifting out of their natural position. While full and partial dentures are held together by small wires and clasps, the dentists at The Diablo Dental Group custom fit them to your teeth to ensure they are as seamless and natural looking as possible. Why would I choose dentures over replacement alternatives? If you have one to a few missing teeth, your dentist will likely recommend alternative treatment options, such as a dental crown or bridge. For those with more than a few decayed or missing teeth, more drastic measures must be taken to ensure your oral health remains optimal. For patients with several missing teeth, the only viable alternative to dentures is dental implants. While implants are screwed directly into your jawbone, making them a permanent solution for missing teeth, many patients simply do not have enough jawbone and gum tissue to support the implant. Other factors include cost and convenience. Dentures are removable and can be taken out for cleanings, while implants cannot be removed or reversed. 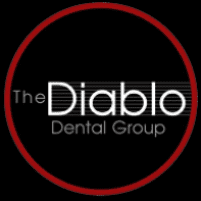 At The Diablo Dental Group, a team of dental experts is available to fit you for your customized dentures. To learn more about the denture process, call or book an appointment online today.